Welcome to a happy new week friends! Per usual, I’m on the road again & left for NYC last night for my final market week trip of the year. It’s supposed to be only 50 degrees while I’m up there so I’m excited to bundle up and really experience some cold weather! I’ve got the cutest head wrap picked out to keep my ears warm 🙂 Check out the fun of the week on Instagram– you know I’ll be sharing as I go along! 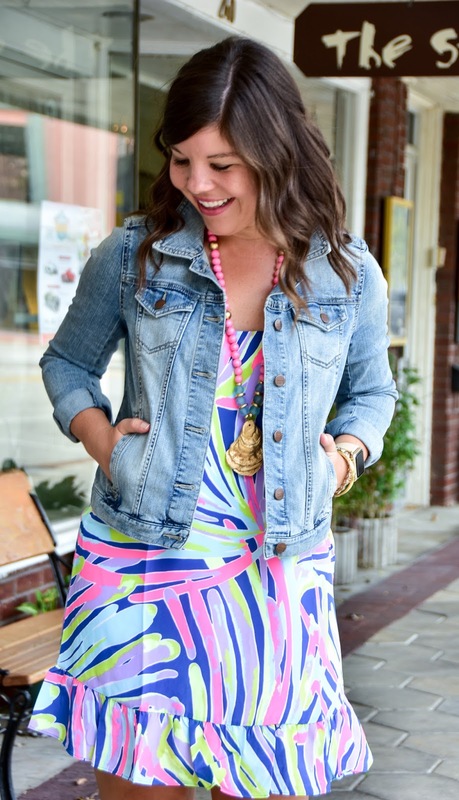 The other day someone told me they noticed I was wearing more black in my wardrobe-I guess the fall season was influencing me- but it made me really miss all my colorful pieces so I decided to take a summer favorite and style it for fall. 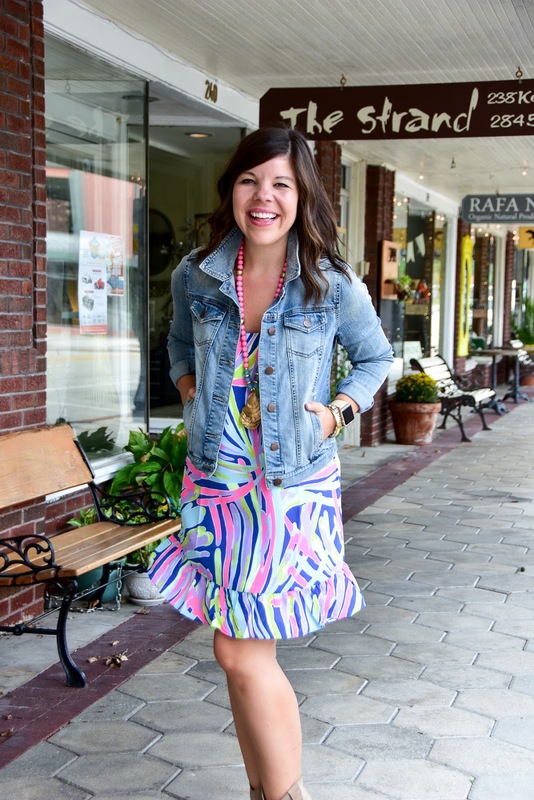 This colorful slip dress can transition with a few key pieces: like a denim jacket (my wardrobe workhorse!) and neutral booties. Both of these pieces are working overtime for me lately! Is your fall style more colorful or are you embracing neutrals this season? 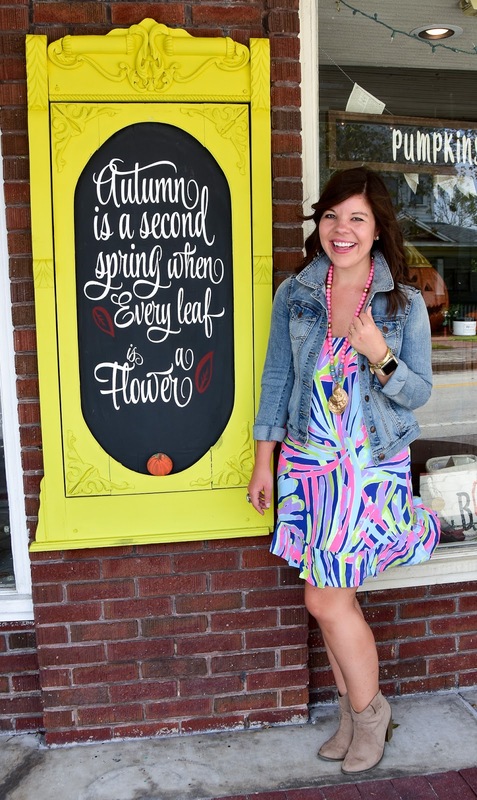 Next Post Happy First Anniversary Scout & Molly’s! I love that dress girl! It's beautiful, have an amazing time in NYC! It'll be a little chilly but it's the best time for walking around! I love the ruffle detailing on this hem of this dress. Have so much fun in New York and stay warm! 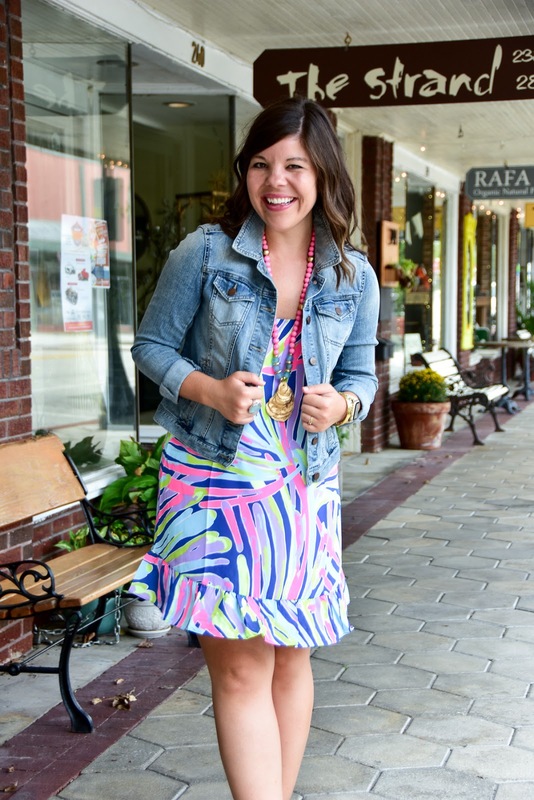 Love how you styled this bright dress for fall! 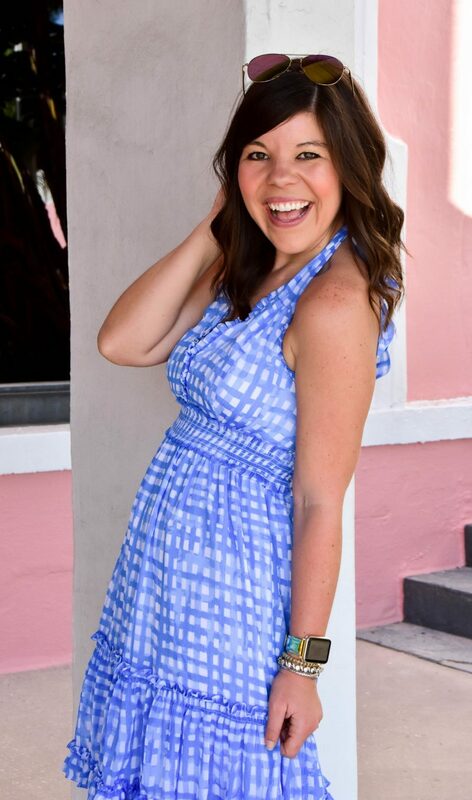 The ruffle detail is so pretty and I am in love with your necklace! Hope you had the best time in NYC! 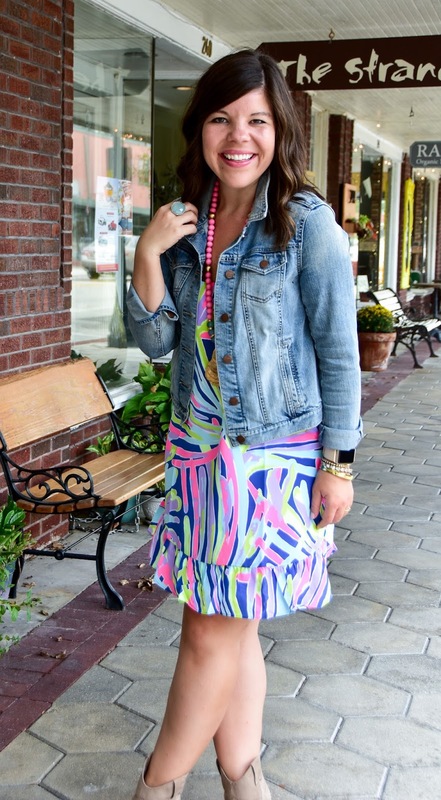 This is such a cute dress – love the jean jacket, too! 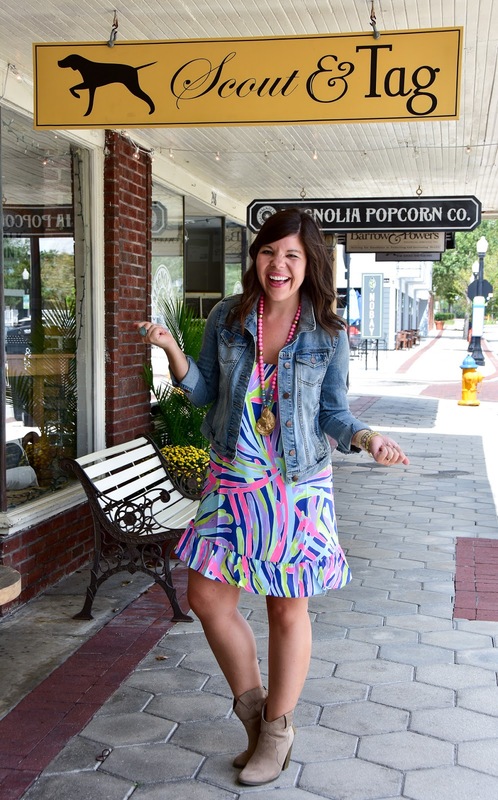 I love this bright print dress, you look great! Dear, your dress is lovely! I love the colors, and you paired it perfectly with a faded denim jacket. Really chic casual look!